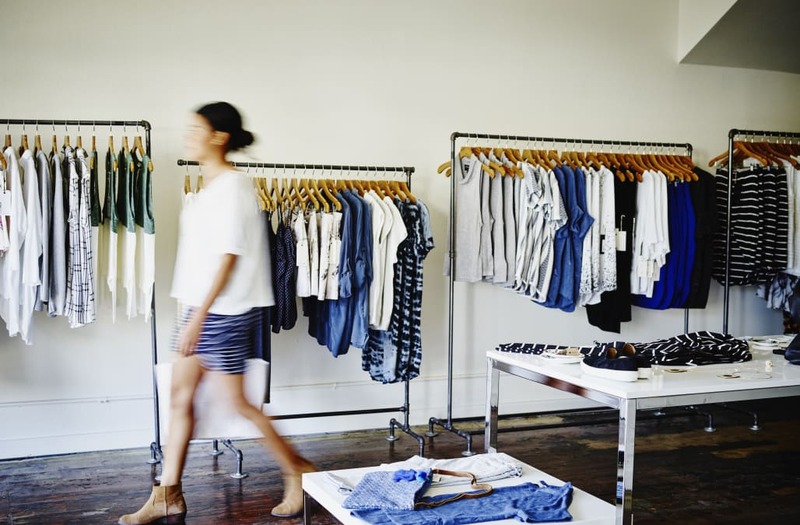 With online sales booming, is brick-and-mortar on the way out? Shipping companies are battling to keep up with American shoppers who are increasingly opting against battling crowds at brick-and-mortar stores, instead taking their business to the internet. UPS is expecting to deliver more than 30 million packages per day plenty of times in the lead-up to Christmas. Over the entire holiday season, the company is expecting to handle shipments north of 700 million. Similarly, FedEx last month noted its daily volume of packages in any given year doubles between Black Friday and Christmas Eve, from 12 million shipments to more than 25 million. The company expects peak holiday shipments to be up 10 percent this year from what was seen in 2015. Both companies have brought on tens of thousands of seasonal workers to help handle a holiday rush that's consistently become more chaotic with each passing year. FedEx's release indicated as much, noting that "the rapid growth of e-commerce has driven significant shifts in demand over the last several years." "Online and mobile commerce is simultaneously creating new opportunities and challenges for the retail industry," Kate Gutmann, senior vice president of sales and solutions at UPS, said in a statement. "Yet a constant remains: The holiday season is the most important time of the year for retailers." The National Retail Federation estimates holiday sales will hit nearly $656 billion. That estimate encompasses $117 billion in "non-store sales," which includes e-commerce activity. Overall, the federation projects total holiday sales will be up a respectable 3.6 percent in 2016. But non-store sales are likely to grow at twice that pace – between 7 and 10 percent. The percentage of consumers expected to shop online this holiday season, 56.5 percent, is almost identical to the percentage that will shop in department stores – 56.6 percent. This shift toward online shopping isn't exclusive to the final months of the year, and does appear to be eating into brick-and-mortar sales. The Census Bureau's monthly retail sales report shows transactions at non-store retailers in November were up 11.9 percent over the year, while department store sales were down 6.4 percent. Sales at sporting goods, hobby, book and music stores were down 1.4 percent, while electronics and appliance stores saw a 3.8 percent cut. Further illustrating the growth of e-commerce, a new study published by the Pew Research Center found that nearly 80 percent of Americans do at least some shopping on the internet, with 43 percent shopping online "weekly" or "a few times a month." "When the center first asked about online shopping in a June 2000 survey, just 22 percent of Americans had made a purchase online," Pew researchers said in the report. "In other words, today nearly as many Americans have made purchases directly through social media platforms as had engaged in any type of online purchasing behavior 16 years ago." The Pew survey did suggest, however, that Americans aren't simply abandoning traditional in-store locations. For instance, 65 percent of online shoppers indicated they generally prefer buying from physical outlets if given the choice. But as the study also states, consumers tend to think that "price is often a far more important consideration than whether their purchases happen online or in physical stores." "Fully 65 percent of Americans indicate that when they need to make purchases they typically compare the price they can get in stores with the price they can get online and choose whichever option is cheapest," the study said. It's additionally worth noting that non-store transactions in America between January and November accounted for a little more than 11 percent of all retail sales, according to government statistics. So while sales at non-store and e-commerce outfits may be growing quickly, Americans are still by and large getting the bulk of their shopping done in actual brick-and-mortar stores. That doesn't mean the holiday season will be any less busy for the likes of FedEx and UPS, but it does show that in-store traffic hasn't disappeared entirely. If you're a last-minute shopper hoping to avoid long lines, beware.